I am so excited to be able to bring you some of the new catalogue sneak peek samples within this newsletter. There are only 5 days to go until the 2013/2014 Stampin’ Up! Annual Catalogue goes live. Make sure you request your catalogue ($5.00) as soon as possible by emailing me! This card uses the Mosaic Madness Embossing Folder, Label Love Stamp Set and Artisan Punch, Owl Build-a-punch, all in Coastal Cabana and Whisper White. This card uses the Mosaic Madness Embossing Folder, Mosaic Madness Stamp Set & Mosaic Punch, Label Love Stamp Set and Artisan Punch, in Coastal Cabana, Strawberry Slush and Whisper White. This card uses the Mosaic Madness Embossing Folder, Mosaic Madness Stamp Set & Mosaic Punch, Label Love Stamp Set and Artisan Punch, in Crisp Cantaloupe & Whisper White. I still have a few spots for this workshop (see card at the top of the column). 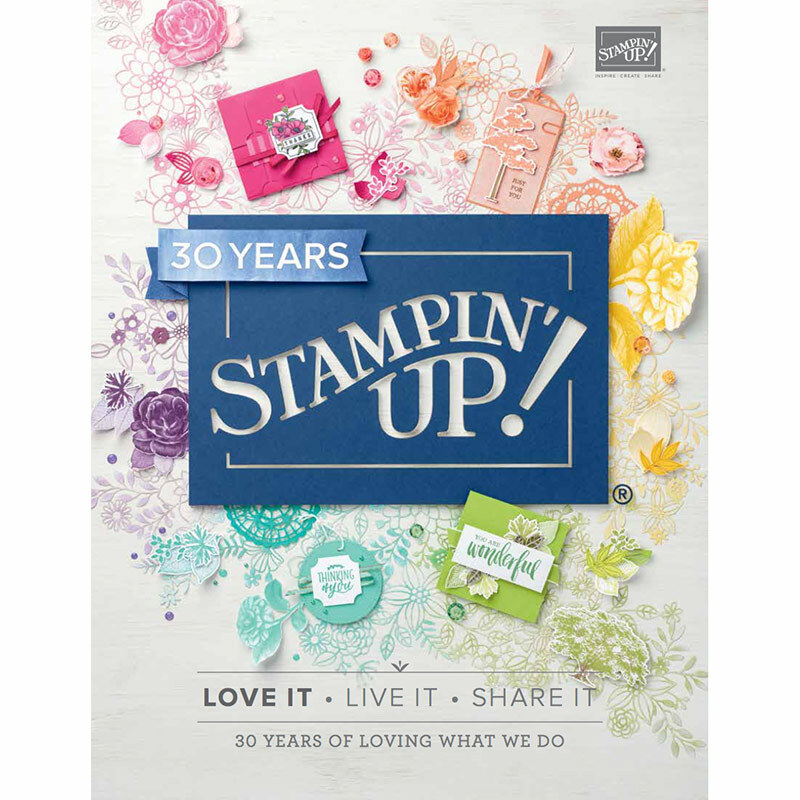 Come along for some fun, stamping, and learn a new technique. Bring a friend along for support. Please let me know so I can organise enough supplies! Anyone who spends $50+ at the Workshop, will be entitled to a free 2013/2014 Annual Catalogue to take home on the day!!! New single stamp releases are available now! These are separate to the offerings in the Annual Catalogue and vary in price from $11.95 to $13.95. Click HERE to see all of this week’s MDS downloads! Last day to place orders for current Seasonal and retiring products. New catalogue goes on sale at 12 noon. Do you have a wish list of $169+ in the new catalogue? Save yourself some money! Have you considered signing up as a hobby demonstrator in our fun and friendly team to save yourself lots of money? As a hobby demonstrator, you will actually get to choose $235 products of your choice for just $169, so that’s a 28% discount to start with. You will also get 30% off your first qualifying order and an ongoing 20% discount. If you join from 1 July, you have until the end of December to reach your first quarterly minimum (which is just $400 anyway!) so that gives you plenty of time to enjoy a very lovely discount on your annual and holiday catalogue purchases (plus you get to see and order the products a month earlier!). There are no other charges and no ABN needed. Hobby demonstrators are very welcome in our team. There is no pressure to do any more than you want to. We have a very active online team right around Australia so you will have lots of crafty friends to chat with and share projects and ideas! It’s super easy to join online, but of course you are welcome to phone or email me any time with any questions too. I would love to have some more happy crafter’s in our team! Products in the Seasonal Catalogue – a limited number of products have carried over, however most are retiring. To order these items online, enter the item number in my online store see link below). You can also email me your order if you prefer. Products retiring from the 2012/2013 Annual Catalogue – shop online via the retiring products section of my online store or email your order to me.